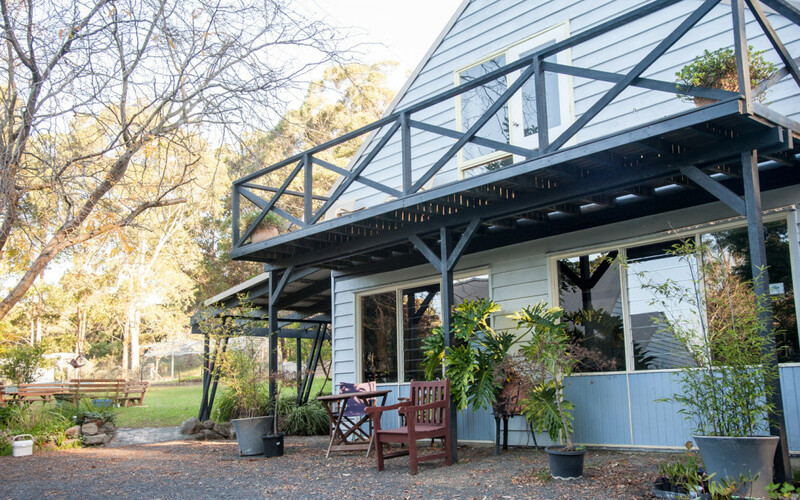 Are you wanting to facilitate or run a small retreat, workshop, art or group gathering? Len & I are excited to announce that we have started renovations on the Barn. We are planning on having it up and running by the end of July. Our plans are moving forward and we are excited. Accommodation is not affected in anyway and in fact once the ‘retreat space’ is finished, the possibilities for its use are only limited by our imagination. Wall mounted large screen TV with HDMI, USB ports and an inbuilt DVD player. Yoga/Pilates/Art space upstairs with a Balcony for soaking up a little sun during a break. Outdoor communal area for a touch of fresh air and sunshine in between activities. Internet access is not available at the cottages unless of course you have your own. We decided against that facility in our cottages because sometimes it is nice to be “off grid” for a while, particularly if you are wanting to relax and unwind. Having said that we realise that sometimes you just need to be able to access the internet, so we are providing that facility in the barn. Our large wall mounted TV with HDMI capability will enable you to connect your computer and run PowerPoint or other presentations while you are facilitating your workshops. It will also have USB connectivity and a DVD player for your convenience. Workshops or retreats can be as short or as long as you wish. Our cottages will comfortably accommodate participants, so if you are thinking overnight or a few days we can help there too. Personal care and attention to detail will help your retreat to run without a hitch. Catering can also be an option. Contact us to find out more details and talk to us about your requirements.